Foodshare | Hunger is Big. Our Community is Bigger. Foodshare is leading an informed, coordinated response to hunger in Hartford and Tolland counties. Hunger exists in every town and city in Greater Hartford, impacting people of all ages and backgrounds. 1 in 8 of our neighbors in Hartford and Tolland counties worry about having enough food. Foodshare provides our neighbors with food for today and long-term solutions to create food security for tomorrow. 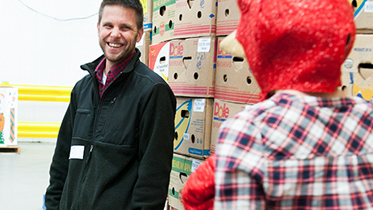 Foodshare prioritizes nutritious food and encourages healthy choices. More than one-third of the food we distribute is fresh produce. 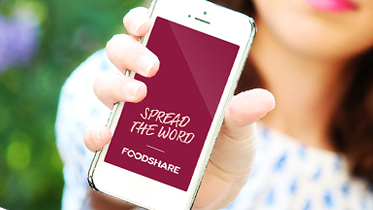 Take action today and donate your time to Foodshare. We offer a variety of opportunities to get involved and give back. 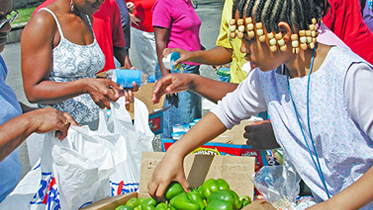 Financial gifts help more of our neighbors access nutritious food. Your donation can be the difference between hunger and health. Join us for events that raise awareness and support for the Foodshare mission, or host an event of your own. 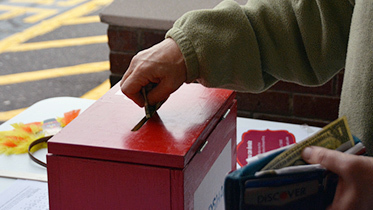 Raise your voice to help end hunger in Greater Hartford. Together we can build systemic solutions that bring lasting change. Foodshare, Inc. is a beneficiary of contributions to United Way through workplace giving campaigns. 2019 Foodshare, Inc. All rights reserved.